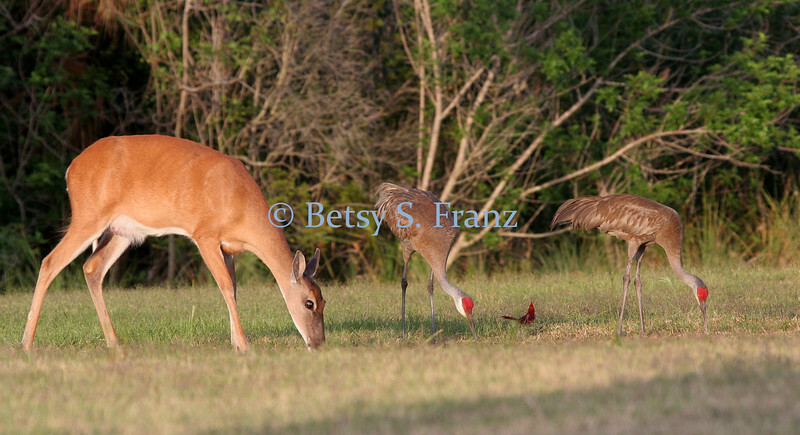 White-tailed deer, sandhill cranes and cardinal. How cool is that? ?